The GET Enterprise CR-0150-BK salad crock is perfect for storing salad bar toppings, like onion, carrots, and more. 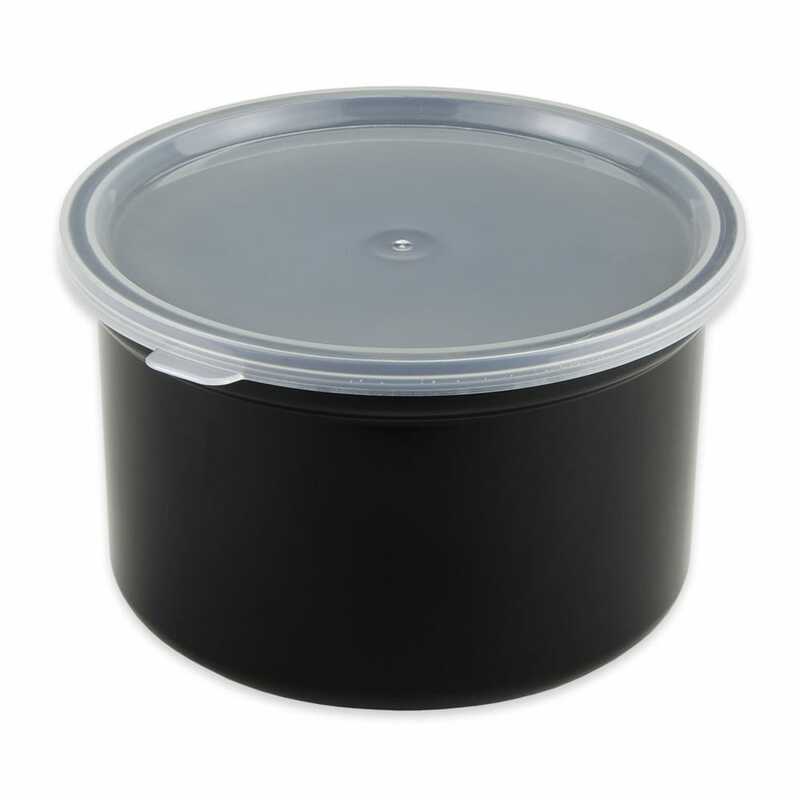 A plastic lid comes with the crock to protect your product from contaminants and keep it fresh longer. The lid is clear, allowing you to easily see the product inside. The container has a 1.5-quart capacity and is BPA free for safety. With the melamine construction, this crock is resistant to breaking, but the container should not be heated in the oven or microwave. Do not use chlorine bleach or other harsh cleaners on the crock. The GET Enterprise CR-0150-BK salad crock comes in black to blend into any theme.